Police investigating a shooting on Scioto Trail Saturday evening. Police are searching for a person of interest in reference to a shooting that took place Saturday evening. At approximately 9:15 pm, officers from the Portsmouth Police Department were called to 2431 Scioto Trail in Portsmouth in reference to a male victim who had been shot in the head. Upon arrival, officers encountered a male victim who had an obvious gunshot wound to the left side of his head. 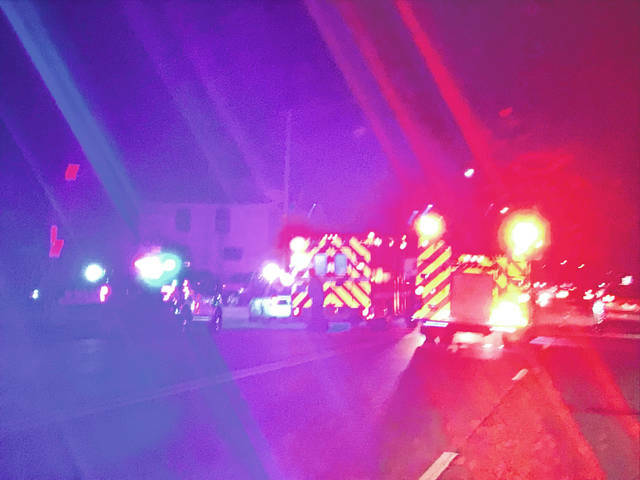 The victim was treated and transported by the Portsmouth Fire Department to Southern Ohio Medical Center, where he was treated and later released. Investigators with the Portsmouth Police Department Detective Bureau responded to the scene and are investigating the incident. Anyone with information about the case is asked to contact Det. Steve Timberlake at 740-354-1600 or 740-354-4101.
https://www.portsmouth-dailytimes.com/wp-content/uploads/sites/28/2019/02/web1_Saturday-shooting.jpgPolice investigating a shooting on Scioto Trail Saturday evening.